Rocket League is currently free for Xbox One Gold members as part of the ‘free plays days” weekend on Microsoft’s console. Yesterday we covered the upcoming PS4 Pro update for Psyonix’s car-soccer game, and today the developer has announced that their title will be free to play on Xbox One as part of its one-year anniversary on Xbox. Players can download the game for free through 11:59 pm PST on February 20. Not only will the game be free of charge, those who want to purchase the hit-game will be happy to learn that it’s being offered with a 25% discount throughout the weekend for Xbox Live Gold members. Initially released on PC and PS4 in July 2015, the vehicular soccer title found its way to Microsoft’s Xbox console on February 17, 2016. The game supports cross-network play between Steam PC and Xbox One. The feature allows players to easily include (or not include) cross-network rivals in both public and private matches. 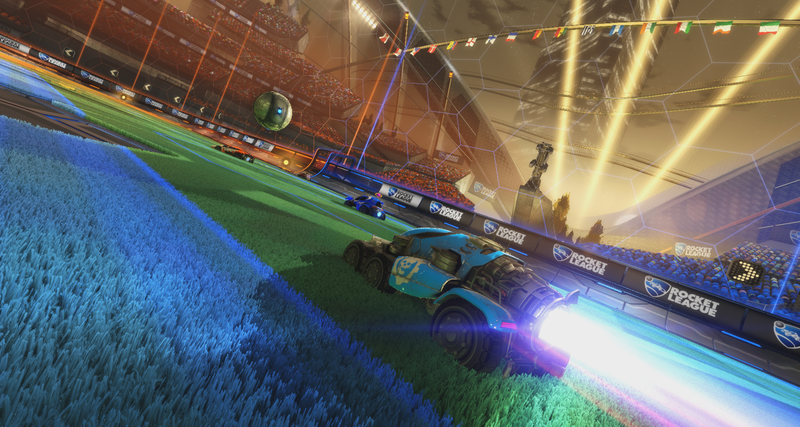 Rocket League is available now for Xbox One, PlayStation 4, and PC.